The voice of the student is an incredibly powerful one and thankfully most universities and colleges are making use of it, more and more. From student Snapchat takeovers to blogs, vlogs and Facebook posts; higher education marketers know that students are far more likely to listen to other students. In our endless research of higher education websites and social media profiles, we are still impressed by the standard of student-led content that’s out there. If we had one observation, it's that student led content in the form of a single post or a weekly takeover can get lost among the din of your regular social media posts. 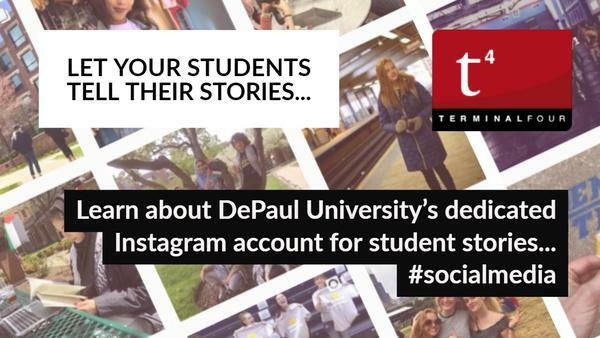 We loved DePaul University’s idea of launching a separate Instagram account just for student stories. Their IamDePaul account is home to over 6,300 followers and each week a different student takes over the account for seven days. This idea works incredibly well for a number of reasons; it gives prospective students insight into what life at DePaul is like and it introduces current students to new places, clubs and people. HELLO DEPAUL! My name is Trey Rendon and I will be taking over the account for the next week to show just how great DePaul really is! I'm originally from Kalamazoo, Michigan and am studying Biological Science with a concentration in medicine. Moving to the city was a big change, but has become one of the best decisions I've ever made. I'm excited to share a little bit with all of you on just what makes this school and city so special. Another reason why I believe DePaul to be so great is the amazing community of students who work together toward a common goal. I've experienced with with Global Brigades, and also have had the opportunity to see it among the DePaul Greek community. Over the past week my fraternity, Sigma Chi, has worked along with sororities on campus for our Derby Days week to raise money for the Chicago Public School systems. After recognizing the great disparities in education within Chicago we decided to use this week to benefit the city that we all love. So far this week, together Sigma Chi and eight other sororities have raised $22,050, and are looking to reach our goal of $30,000 by the end of the week. I was also able to live out a little bit of a dream for myself during this week as it was themed around one of the best franchises of all time, Harry Potter (HUGE Potterhead). I bought my official robes, was able to referee muggle quiddich, and performed as a wizard in a choreographed dance. If you feel the urge to help us hit our goal, and benefit children in the community we call home, feel free to visit the Derby Days link (https://givebutter.com/depaul-derby-days-2018) for more information or to donate. This has been one of the most amazing, empower, and MAGICAL weeks of my life and yet another reminder about just how great the DePaul community is. 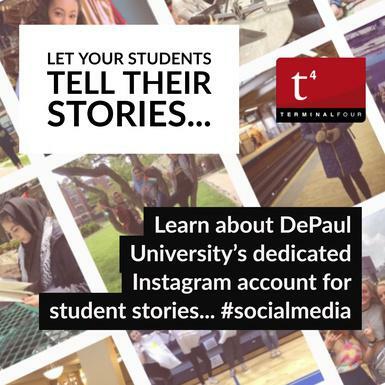 One other thing we loved about this Instagram account was their inclusion of a form in the bio where students can register their interest in being featured in the IamDePaul Instagram account. We are curious, how many social media accounts does your university run? Send us your most unique social media accounts, we would love to feature them!